Judith Rotem was born in Budapest, Hungary, in 1942. As a baby, she was taken on the "Kastner train;" she spent several months in Bergen-Belsen, and then in a refugee camp in Switzerland. She arrived in pre-state Israel at the age of 3. Later she married an ultra-Orthodox yeshiva student, and supported the family as a teacher while raising her seven children. In 1983, she divorced her husband and left the ultra-Orthodox community, taking her children with her. She subsequently wrote and edited hi-tech publications, published articles on various subjects and, as a ghost writer, she has written a number of autobiographies for Holocaust survivors. 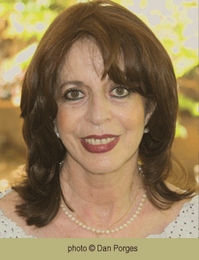 Rotem has published novels, a collection of stories, non-fiction books and books for children. She has been awarded the Book Publishers Association's Gold and Platinum Prizes for her bestseller, I Loved So Much (2001; 2004), the Prime Minister's Prize (2002), the Book Publishers Association's Gold Prize for her bestseller, Craving (2004), the Ramat Gan Prize for Whom My Soul Loveth (2010) and the Arik Einstein Prize (2014).